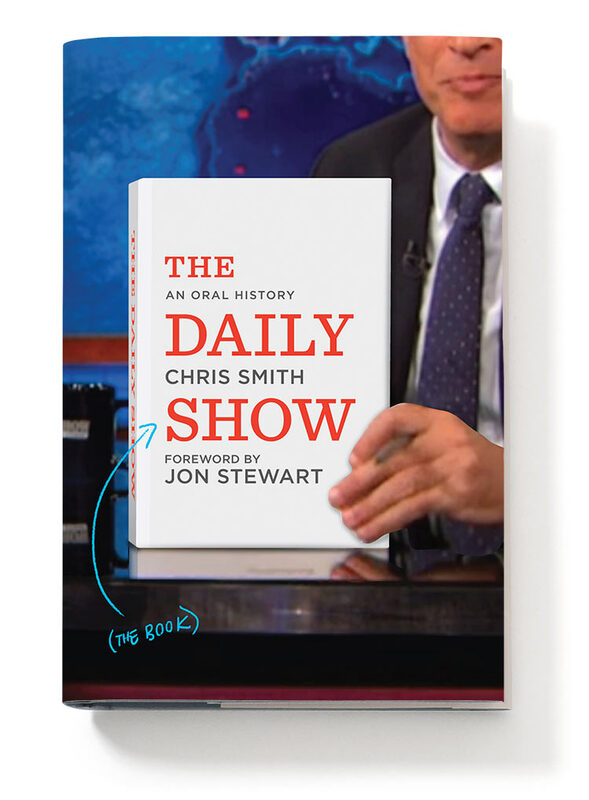 Following in the footsteps of mega-bestseller America (The Book), The Daily Show (The Book) is an uncensored history of the award-winning show as told by its correspondents, writers, and host Jon Stewart. We created the end papers for the book’s inside covers — a colorful field of lower thirds referencing The Daily Show’s classic segments and guests. Our original scope was for the front cover. Here are some of our favorite sketches, including a meta illustration of Jon holding the book on his show and a comical grid of correspondent’s heads.